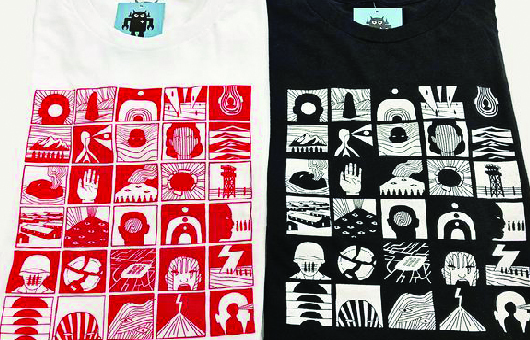 You can now get the shirts I designed in conjunction with the “442” show through Giant Robot. I’ll use Eric Nakamura’s description: “Rob Sato’s shirt at GR2 addresses the internment camps, the 442, isolation, and more. This is the best design I’ve seen that works on all levels. If you just want a cool shirt, this is the one.” Gaman and anti-gaman sentiments swirl together. I’ll be taking part in presentations and discussions about Japanese American Internment and the unfortunate intensification of its relevance in our current times with Tessaku Project at GR2 on April 21, 2018 starting at 3pm and the Santa Monica Public Library on June 2, 2018 at 2pm.